This is our final article from our series on Malta, and I have to kick it off by giving a big ol' shoutout to our new Maltese friend, Etienne. Without him, we would never have seen this place. Like so many of the people we meet when we travel, he showed us more hospitality than we possibly could have deserved—spending a bunch of time driving us around Malta serving as an impromptu tour guide. He also plays in the most popular band in Malta: Winter Moods. Give them a listen here. Okay, Marsaxlokk! Let's get into it! First of all, it's pronounced "mar-sa-chlok." There are about 3,500 people that live in Marsaxlokk and they are called the Xlukkajri (sorry, no idea how to pronounce that one). Maltese, the language, is as unique as it is specific. You might be surprised to learn that Maltese is actually in the same language family as Arabic and Hebrew. 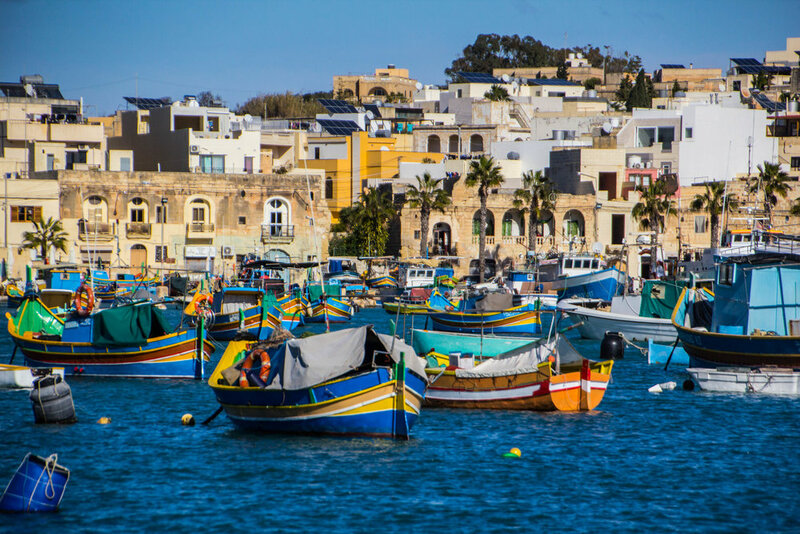 Despite this country's small size, its language and culture is alive and well in places like Marsaxlokk, but like everything in Malta, there are thousands of years of history that created the culture that exists today. 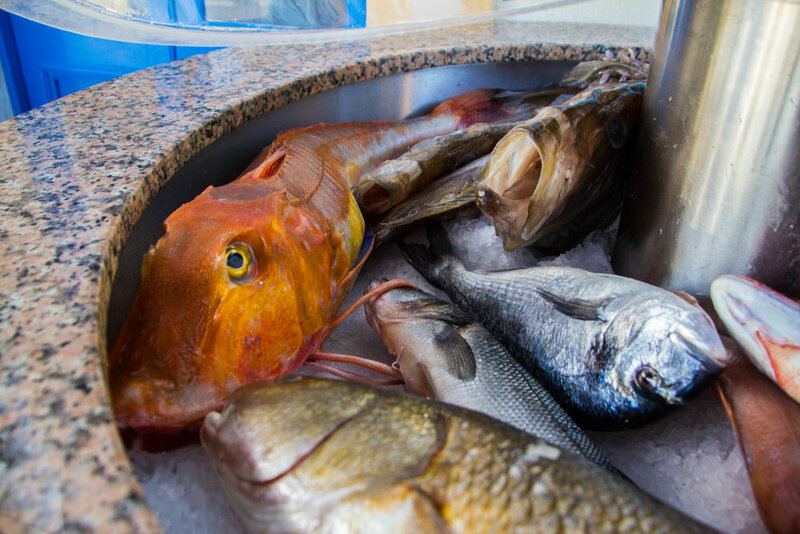 It was in Marsaxlokk that the Phoenicians first set up trading posts on Malta in the 9th century B.C.E. They called it "Golfo dello Scirocco," and their history with this small port village is honored to this day. 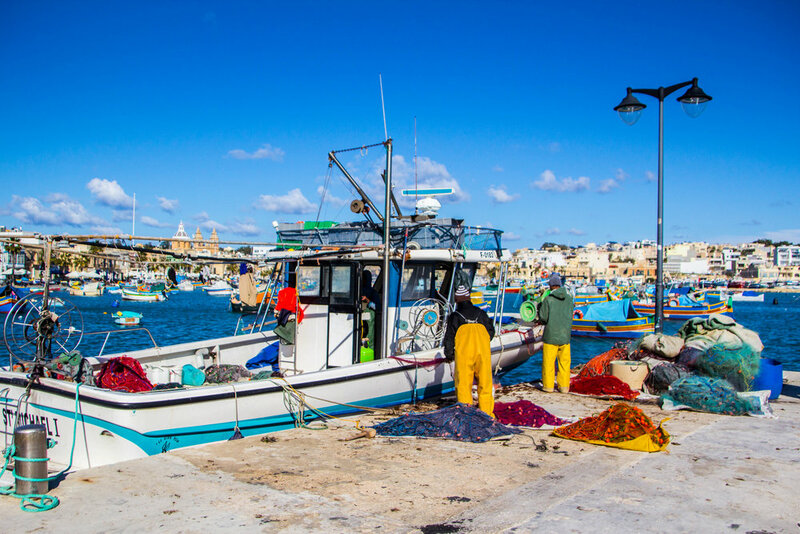 The colorful Maltese fishing boats shown in the header image (above) and in the galleries below are called "Luzzu." The way these boats are decorated is a tradition that stretches all the way back to these original Phoenicians. You can spot them by their bright colors and the pairs of eyes painted on bow of each boat. These aesthetic elements have been in use since ancient times. 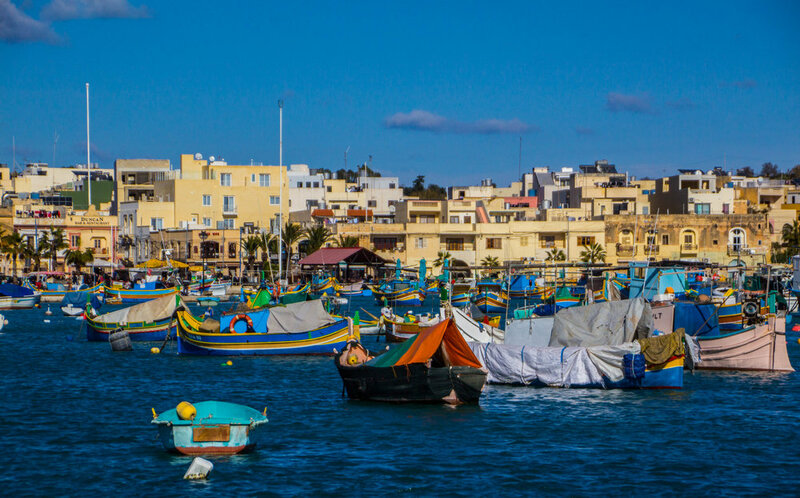 Marsaxlokk has a long but comparatively uneventful history, whereas other Maltese destinations like Valletta and Mdina have histories so long and jam-packed with major events that you could write books (plural) about them... and people have. The biggest footnote I could find on this place is the fact that it was the harbor for the Ottoman fleet during the legendary Siege of Malta. This battle took place just a ways north, in the Valletta area. You can read all about Valletta here. Anyway, a lot of time has passed since then, and today, Marsaxlokk is just a gorgeous place, quietly doing its thing in the southern Mediterraneanm waiting for people like you and me to get off our asses and come for a visit. Here's a map of the Marsaxlokk area so that you can zoom in and interact. Etienne drove us into this Marsaxlokk in early afternoon, and quickly found a parking space near to the waterfront. I got out of the car and as soon as the warm Maltese sun and cool Mediterranean breeze hit my face, my hand went for my camera like a magnet and I quickly became the most anti-social person ever, wandering off into the distance looking through my camera lens. The main street that goes down the water front is called Xatt is-Sajjieda. And no, I have no idea how to pronounce that either. Along this street, there nearly non-stop restaurants and cafés. Most of these places have tables sitting directly on the water, with servers running back and forth across the street. This makes it a great place to post up and take everything in. We stopped for quick caffeine injection at a British coffee chain called Costa Coffee in the main square of the town. Costa is all over Malta, but generally does a decent job of blending in with the surrounding local life. This main square of Marsaxlokk centers around a Roman Catholic church known as Church of Our Lady of Pompei. This church had existed informally, and without a brick-and-mortar location ever since the first houses were built for what would become Marsaxlokk, which was a LONG time ago, but the church that stands here today was not built until 1890. That, incredibly, makes it one of the newer structures in Malta. You will see it pictured in the gallery below. 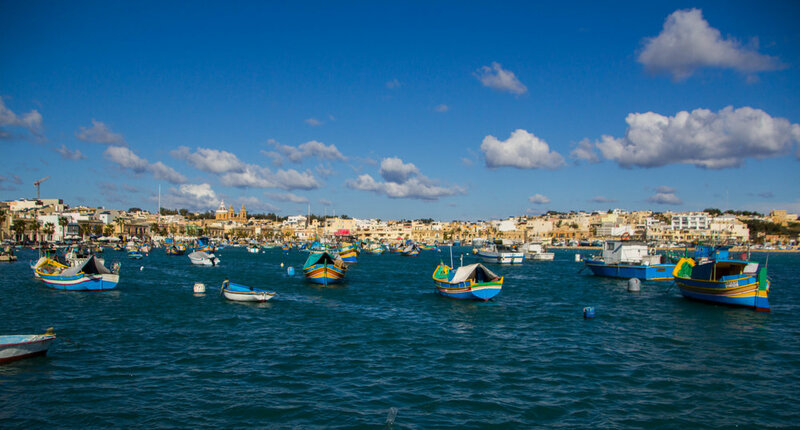 Though it might look like vacation paradise (and it totally is) Marsaxlokk is also a real town. 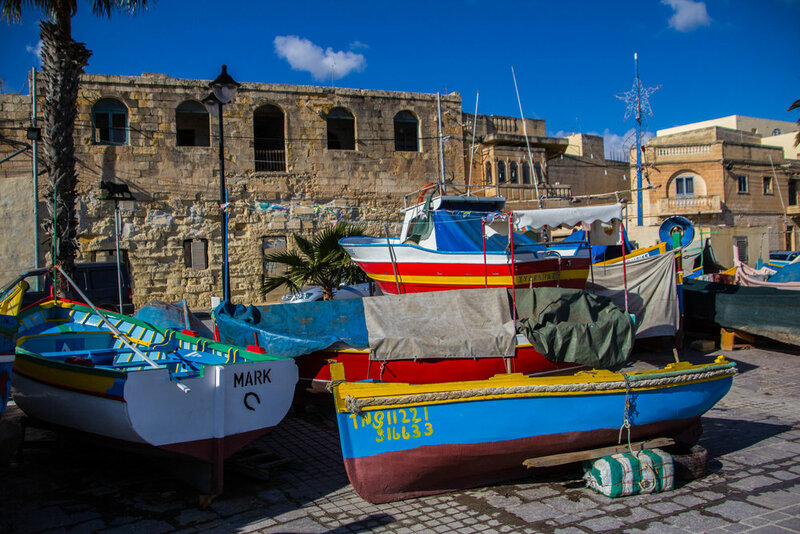 The waterfront is the most iconic area of this town but turn off of Xatt is-Sajjieda down any side street and you will be quickly find yourself in everyday Malta. 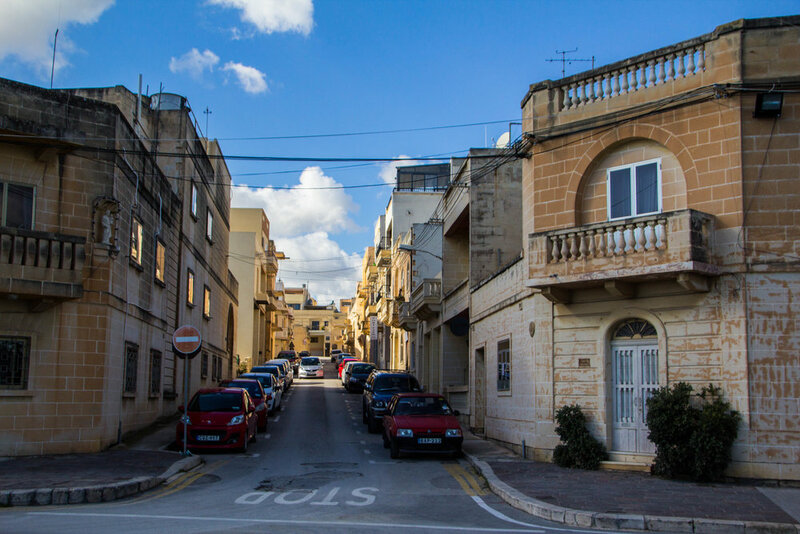 Similar to Valletta, the buildings are all a sandy color of beige, giving the impression that you are walking through an entire city of sandcastles. It's pretty picturesque. Meanwhile, just on the other side of the bay from this gorgeous waterfront area, there is actually a large power station. This massive industrial plant pretty much kills the view looking out from the harbor, so I was careful not to let it creep into sight of my lens. It's pretty poor placement, but in a place as small as Malta, I imagine that they didn't have many options. Many of the people roaming this waterfront area were clearly tourists, but in between the groups of wandering sightseers, there were old white-haired Maltese fishermen, working on the boats and laying fishing nets out in the hot sun. They provided a reassuring sense of authenticity to Marsaxlokk, but they were not alone. Also manning these fishing vessels were a motley crew of migrant workers, who looked to be from Subsaharan Africa and Southeast Asia. Malta is an interesting case study in the African migrant crisis. The southernmost European country, Malta is a mere 284 kilometers (176 miles) eastward from Tunisia, and not too much further removed from the the notorious ports of Libya, rife with human traffickers preparing to move their human cargo across the Mediterranean. It's one thing when boatloads of African migrants wash up on the shore of comparatively large nations like Italy, Greece, or Turkey, but a country as small as Malta is a much more fragile ecosystem. It might as well be Nantucket, and space is limited. Personally, I am fiercely pro-immigration / anti-nationalist, and am more than willing to look past the rough edges of the EU to see the beauty in this grand experiment with the idea of national sovereignty. However, during my time in Malta, I don't think I crossed paths with a single person who shared these sentiments, which was actually pretty surprising to me. People universally expressed dissatisfaction with Malta's membership in the EU, and frustrations with how the influx of African migrants is being handled. Normally I would be pretty unmoved by these types of complaints, but I am a lot more sympathetic to them in the case of Malta. It's true that if you just wash up on somebody's shores, that's technically illegal immigration. Most of the time I would argue that, if that somebody has the ability to help, then they have the responsibility to help, but Malta is different because of its small size. There is a very low ceiling on the number of African migrants that can physically stay here. To put Malta's size into perspective, this place is so small that its population constitutes only 0.08% of the European Union's total population. It's hard to imagine that many decisions made with regard to policy are done so with Malta in mind. Put these 2 things together, and it's easy to see how people here might be frustrated. So I was chewing on that. ANYWAY, the most iconic picture of Marsaxlokk is looking across the water from one side of the harbor to the other, seeing the Luzzus against the backdrop of the village's sand castle houses. In late afternoon, the light wasn't quite right to get the same picture as what you will find on postcards and calendars, but it was still gorgeous. We walked around this area for hours, but eventually it was time to get back in the car and drive back to Valletta. However, my writing on Valletta actually came on the front end of this series on Malta (if you missed it, you can circle back to catch up here)—so this means that we're all done! We came to Malta on a whim, and spent a relatively short amount of time here, but I will never forget this place. It's a real gem. And for all its obscurity and isolation, it unfolded before us like a storybook. Thanks again to our new friend Etienne. I hope life brings me back to Malta one day. But for now, it's time to hit the road. From here, we are boarding a flight taking us north, to Sicily.